Having been a consistent performer for so many years at Stamford Bridge, Frank Lampard has never previously had to worry about maintaining his place in the side. Now, at 33-years-old, the Englishman has been used much more sparingly from the off, and withdrawn from proceedings at a far more common rate than usual under Andre Villas-Boas. The Portuguese manager seems to believe Lampard doesn’t fit in with his visions of a younger, more dynamic Chelsea outfit and has instead opted to utilise Oriol Romeu recently, with Ramires and Raul Meireles providing the box-to-box running from midfield. Villas-Boas’ mentor though, is now reportedly set to offer Lampard an escape route, as Jose Mourinho looks to take a man who was one of his most consistent performers during his highly successful Chelsea tenure, to Real Madrid. Esteban Granero, a Spanish under-21 international midfielder, is being touted as a makeweight in the deal, and the young playmaker would better suit the model that Villas-Boas looks to mould at Stamford Bridge. 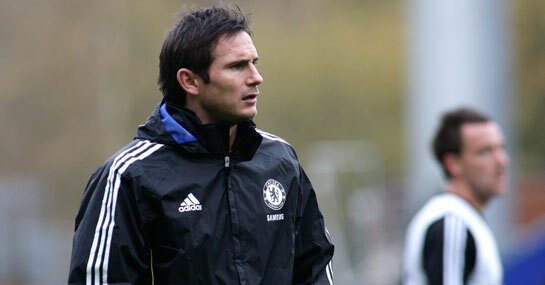 That said, it is difficult to envisage Lampard, a Chelsea legend after ten years at the club, leaving the club in potentially acrimonious circumstances, and whilst he will be desperate to play as much football as possible in the twilight years of his career, the talismanic midfielder would surely prefer to remain in England. Tottenham have purported interest in the player, though a significant wage cut would be necessary should he wish to re-unite with his uncle Harry Redknapp, who managed the player in the early stages of his career at West Ham. Still selected in every squad when fit, and with a year-and-a-half to run on his current £150,000 per week contract, it is very possible that Lampard will see out his career at Chelsea. He will want to regain a more prominent role in the team as they chase glory if this is to happen though.